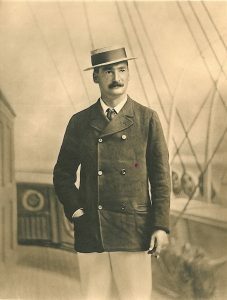 Commodore of the Royal Yacht Squadron. He is a thoroughly practical yachtsman, and holds a Board of Trade certificate. He has been a member of the Squadron since 1867, and was elected Vice-Commodore in 1885, and Commodore in 1901. 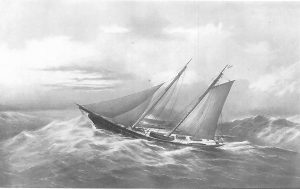 At the age of twenty-three thee Marquis was owner of the 42-ton schooner Koh-i-Noor. 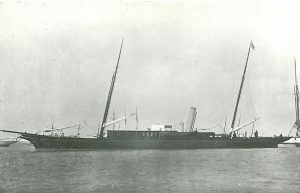 He built Mirage, 197-ton schooner, at Inman’s of Lymington in 1868. In this vessel he saw many parts of the world, visiting the Arctic, and going as far north as Spitzbergen. In 1883 he abandoned sails for steam, and bought the Mirage, 190-ton screw schooner. Clubs: Royal Yacht Squadron, Royal Irish, Royal St. George, Imperial German. Mirage, R. Y. S., 200 tons.